Happy High Hopes Tuesday! This weeks High Hopes challenge is Ribbon and Lace! What paper crafter doesn't love ribbon and lace! I used one of my favourite High Hopes Images: Warm Wishes, perfect for birthday cards! I hope you get a chance to join in with the High Hopes Lace and Ribbon Challenge! Fabulous card, hun!! I love the lace you used all of the fun details!! Fun and gorgeous! The image is adorable and I love the way you've coloured it and added stickle accents to the fire. That lace coordinates perfectly with the flames to. Wonderful details. Love this card and the image is just too cute. Great colour combo and details. WOw..super cute card and that lace is so eye catching! 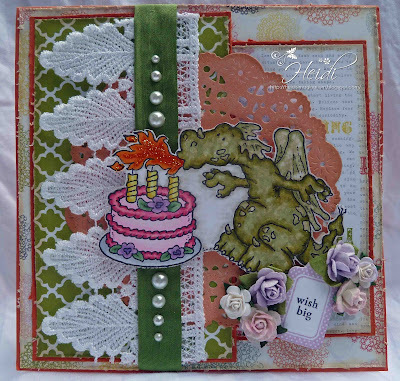 Just wanted you to know that Dulcie (Wild Rose Studio) will be including any cards that were loaded into the comments box on her blog during the Hop. She is away at a Trade Show at the moment but rest assured your name is still in the Grand Prize draw for the main prize! 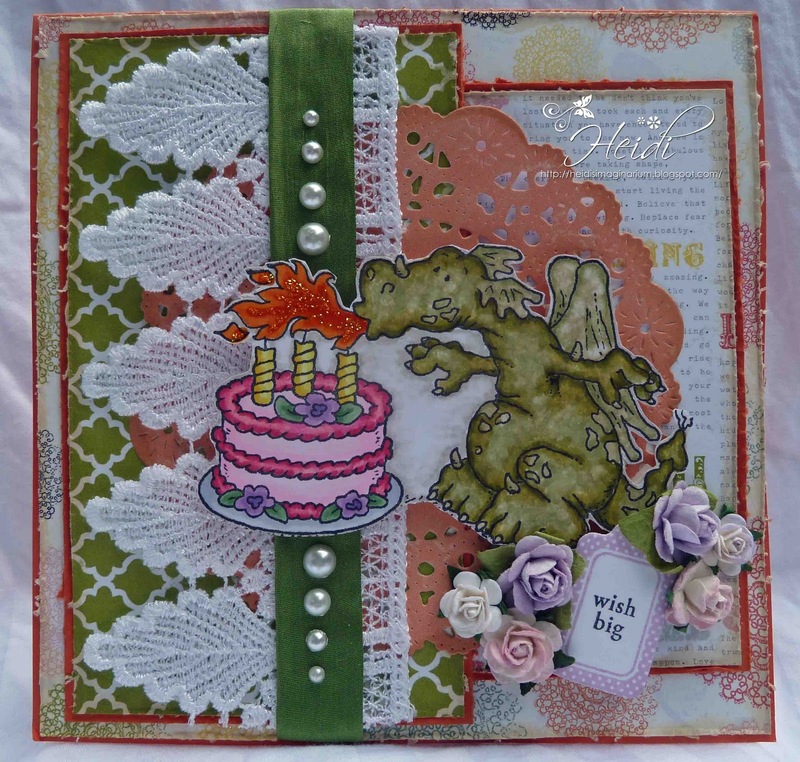 gorgeous card heidi ~just the sweetest dragon and perfect colouring! !